« Bill Winborne at St. John’s River Steak & Seafood! Enjoy a cup of Columbus Day Clam Chowder with us!! 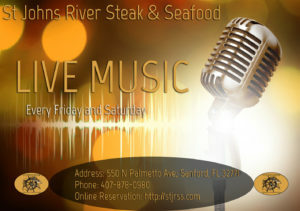 © Copyright 2019 St Johns River Steak & Seafood. All Rights Reserved.